Be faithful to your own wife, just as you drink water from your own well. Don’t pour your water in the streets; don’t give your love to just any woman. These things are yours alone and shouldn’t be shared with strangers. Be happy with the wife you married when you were young. She gives you joy, as your fountain gives you water. She is as lovely and graceful as a deer. Let her love always make you happy; let her love always hold you captive. My son, don’t be held captive by a woman who takes part in adultery. Don’t fondle a woman who is not your wife. The Lord sees everything you do, and he watches where you go. ” Drink water from your own cistern” is a picture of faithfulness in marriage. It means to enjoy the spouse God has given you. In desert lands, water is precious, and a well is a families most important possession. In Old Testament times, it was considered a crime to steal water from someone else’s well, just as it was a crime to have another Man’s wife. Both cases, the offender endangers the health and security of family. This passages urges couples to look to each other for lifelong satisfaction and companionship. Many temptations entice husbands and wives to leave when marriage becomes dull in order to find excitement and pleasure elsewhere. 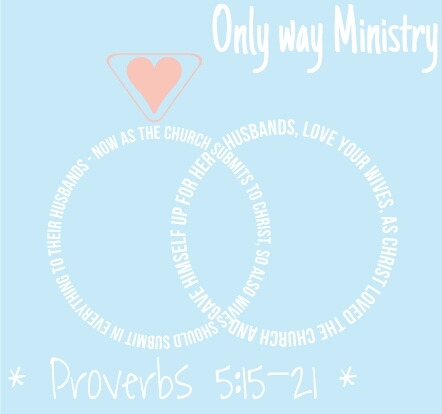 But God designed marriage and sanctified it, and only within this covenant relationship can we find real love and fulfillment.